Seriously, if weddings weren't so expensive, I would have one every year. That's how much I love them! Don't get me wrong, I loved my wedding. But it's kind of like redecorating a room in your house. You love it when you first do it...and then a few years down the road you think of other great ideas you'd love to see in the space! It's a never-ending battle with evolving creativity and style. I love love love this venue! 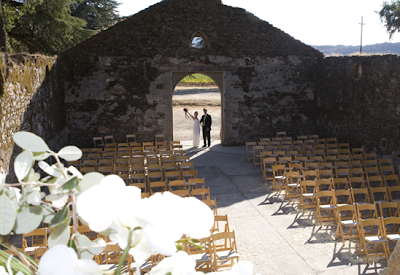 It's an indoor/outdoor wedding space full of charm and rustic beauty! 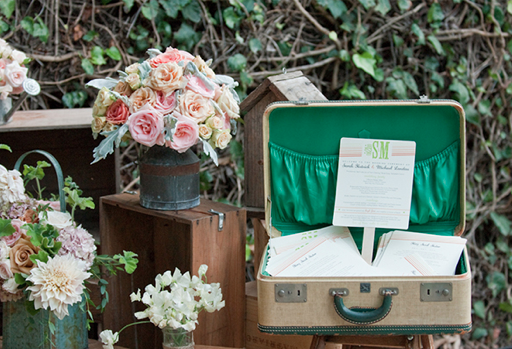 This vintage suitcase also functions as a wedding program holder. Way better than the traditional basket, right? I think it would be great at any wedding, but especially cute for a destination wedding. What says destination better than a suitcase? 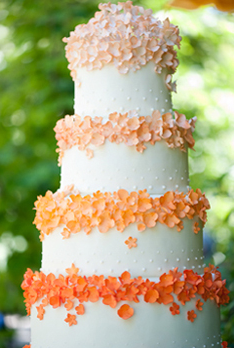 I don't know what I love most about this cake--the daintiness of the flowers or the ombre effect of the orange colors. Either way, I think it's so sweet and unique. 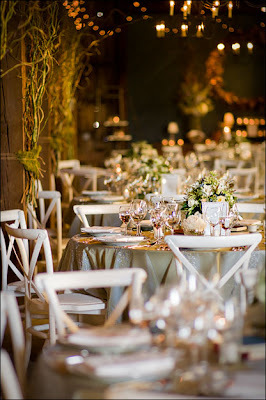 Weddings that scream rustic-elegance are by far my favorite. 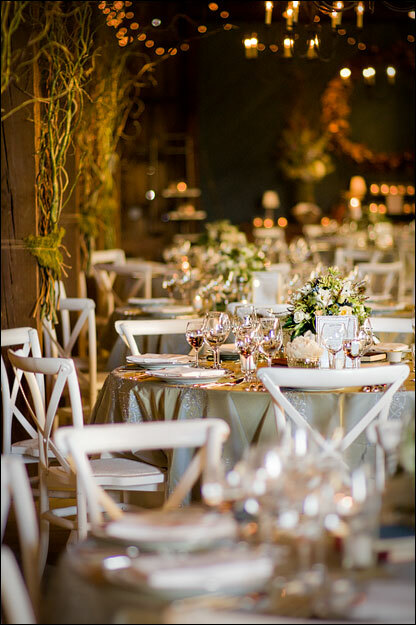 This is definitely a perfect description of that with the distressed chairs, rustic setting, iridescent table clothes, and classic floral centerpieces. Speaking of florals, how stunning are these bouquets? 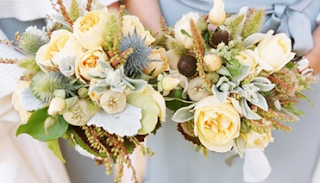 The soft color palette and mixed textures are to die for.